Any holiday involving ice cream is one we can definitely get on board with. This Friday marks the celebration of Creative Ice Cream Flavor Day, and we think Seattle is the perfect place for the culinarily adventurous to commemorate with a few of the most singular scoops throughout the city. Sweet Bumpas - Former Poppy pastry chef Matt Bumpas takes a twist on classic ice cream with flavors like Cinnamon Basil and Corn Cookie and Coconut-Curry Leaf. You can snag a scoop by scouting the Sweet Bumpas ice cream cart on its schedule of events page. Kurt Farm Shop - Tucked into the Chophouse Row building on Capitol Hill is Kurt Timmermeister's Kurt Farm Shop, featuring the spoils from his Kurtwood Farms on Vashon Island. The ice cream's custard base is made at the farm with Jersey cream and milk, organic cane sugar and fresh eggs. The flavors—Tomato Jam, Flora’s Cheese, or Salted Plum—are, of course, farm supplied, and the small batches rotate often. Frankie and Jo’s - Right now, the collab between Juicebox's Kari Brunson and Hot Cakes' Autumn Martin is just a pop-up, appearing at local events with their head-turning flavors like fermented pineapple, dirty horchata and chocolate date. They'll bring their organic, plant-based ice cream to a permanent spot at 1020 E Union St. in the fall of this year. Shug's - Pike Place Market's newest sweet resident is the old-school soda fountain and ice cream parlor featuring Lopez Island Creamery flavors. We wouldn't mind a scoop (or two) of the Raspberry Almond Bourbon. Snoqualmie Ice Cream - Perhaps you're in the mood for a long holiday weekend of sugar and Netflix. In that case, hit the grocery store and bring home a pint of Snoqualmie Ice Cream. Skip the overdone flavors and grab its signature Spicy Banana Brownie, French Lavender, or Almond Poppy Seed. Bluebird - Bluebird is joining in on the food festivities by offering beer, wine, and smoke-infused ice cream on Friday. The Carla Marie & Anthony Show on Power 93.3 FM will also be talking (tune in at 9:30 a.m. on Friday) about the special flavors the ice cream shop is making just for them, including one the hosts designed and taste-tested in the Bluebird kitchen. Plan for surprise scoops; Bluebird has been known to make custom blends for special occasions. Nue - At Nue on Capitol Hill, it's not just the international street food-inspired dining menu that rotates, but also its dessert offerings, specifically its ice cream flavors. Nue's ice cream base is made in-house and frozen using liquid nitrogen. While flavors change, a few signature scoops on the menu include Mexican Street Corn and French Toast and Bacon. Sweet Lo - This small-batch, Seattle-based ice cream maker whips up the stuff of your childhood daydreams: sweet ice cream filled with with sugary cereals, junk food and movie concession snacks. Some of Lo's most notable scoops include Tin Roof, Sunday Brunch, Movie Night—buttered popcorn ice cream with goobers, whoppers and Kit Kats—Capt'n Crunch Berry, Munchies—salted pretzel ice cream with candied Ritz crackers, potato chips, pretzels and Kit Kat pieces—and Cinnamon Toast Crunch. You can order online or find a pop-up. Want to make a unique batch at home? 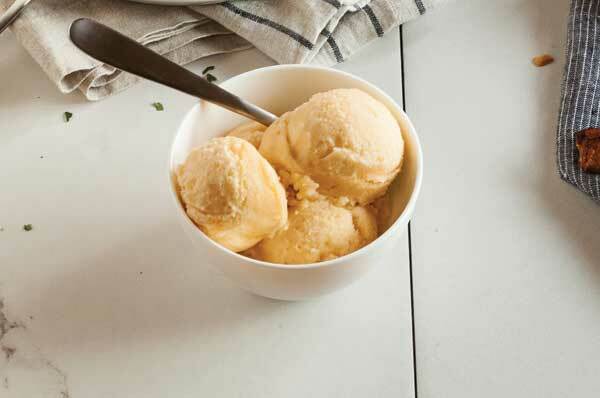 Try this recipe for Singapore ice cream from Seattle Tea & Cookies blogger, Tara Austen Weaver.